I'M WATCHING Jack Allen's creative multimedia project take a streaming twist as he sets up the DJI Phantom 3 with Wowza Live Streaming services. I LIKE STARTING MY MORNING with A-List journalism and that's why I tap into the Washington Post, New York Times, and The Irish Times. 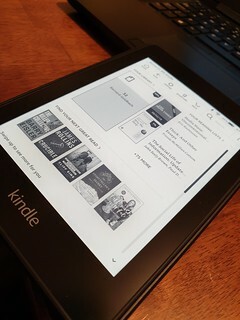 It's part of my workflow now as I use a combination of my Kindle Paperwhite, my Day One Journal, my Brydge keyboard, and my blog.